The Free Center Wrench design used to tighten the barb and the compression ring is perfect for tight spaces because it puts the wrench above the fitting plane giving you more room to maneuver than a conventional wrench. 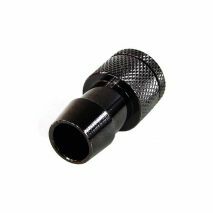 The small wrench notches on the compression ring are also a lot less noticeable than big ugly wrench flats or knurling on the side of a fitting which is normally the most visible portion when installed. Best of all eliminating the knurling gives your fingers a much needed breakùWorld Class Tools. World Class Results. Available in and color matched to Monsoon's full line of of finishesùincluding all of our compression fittings, standard rotaries, light port rotaries, stop plugs, LED plugs, temp sensor plugs, Silver Bullet antimicrobial plugs, and reservoirs---so you can match, contrast, or accent with total confidence. 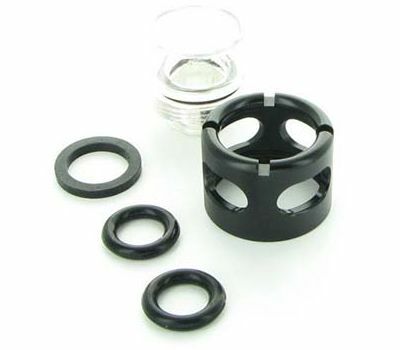 The O-Rings are premium silicone for years of dependable worry free service and are slightly oversized for easy leak free installation in a wide range of products with industry standard G 1/4 threads. Monsoon's Hardline Premium fittings are also modular and fully interchangeableùbetween fitting styles and across tube types. Precision machined entirely from brass. 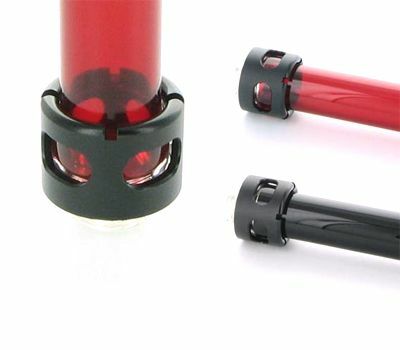 Modular--fully interchangeableùbetween fitting styles and across tube types. 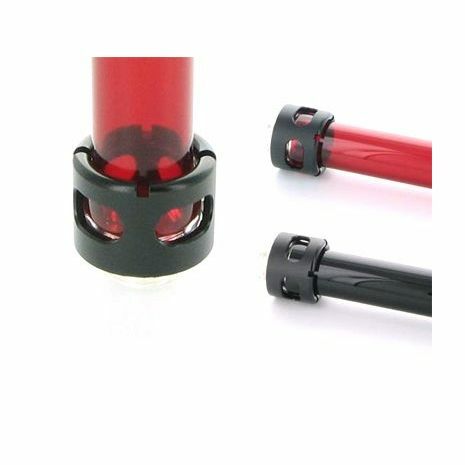 The Free Center Wrench works on the barb/base and the compression ring for hassle free installation without tearing up your fingers. Don't be a tool! Although we highly recommend using the Free Center Wrench, the barb can also be tightened with any coin 1.6mm thick and approximately 25mm in diameterùabout the size of a US Quarter, and the machined windows on the compression ring can also be used to provide grip for finger tightening. 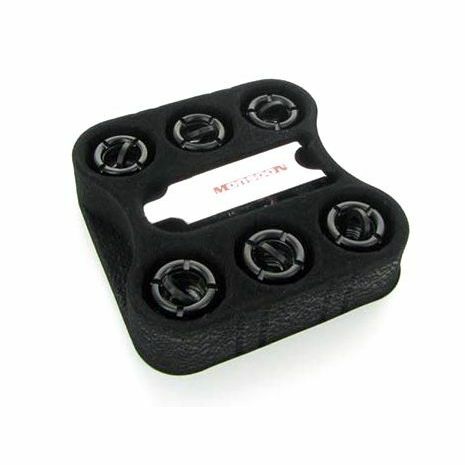 Smaller visually and physically to make mounting in tight locations like CPU blocks easier. Outside diameter is just 20 mm (.78 inches) and total height is just 16mm (.63 inches). Available in 10 colors and finishes. 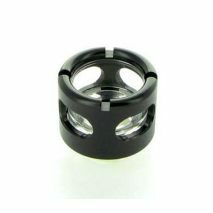 Includes a black O ring AND a color matched UV O ringùyour choice. 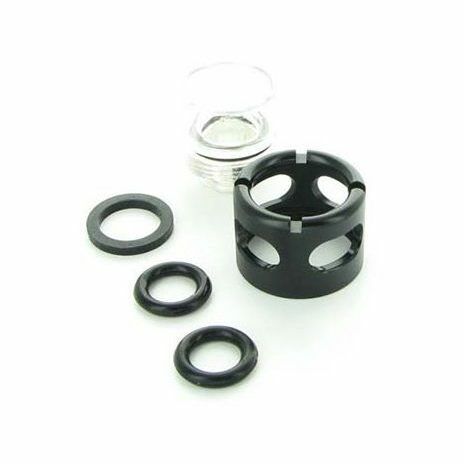 (Chrome, Matte Black, and Black Chrome get a second black O ring). 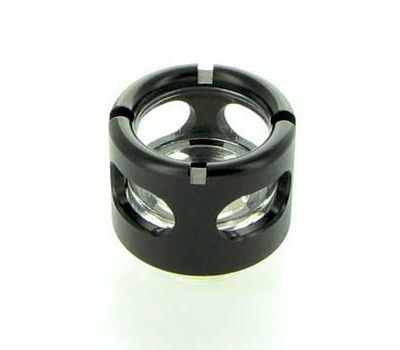 Six color matched UV 2.4mm thick high quality G1/4 BSPP O ring. 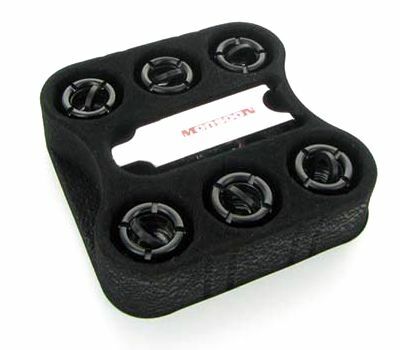 (Additional O rings or different colors can be purchased separately in 10 packs). 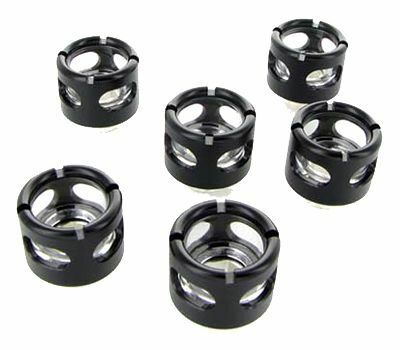 Six Molded Acrylic Lock Collars. 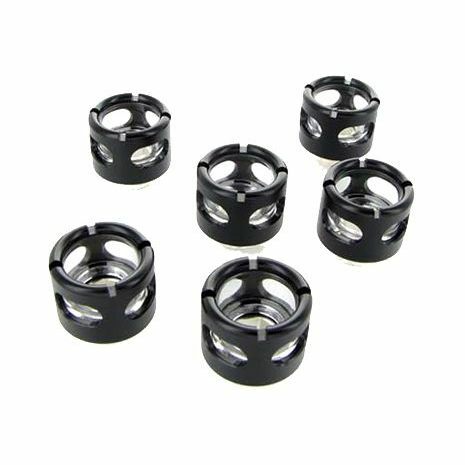 Twelve molded high quality black lock collar seals. The Hard/Lock capabilities of this fitting do not work the same way traditional push in type fittings do and require an additional step. Although they are not difficult to install, we highly recommend you watch the video linked below BEFORE you make this purchase. Guaranteed against manufacturing defects for one (1) full year from your date of purchase. This warranty does not include customer damage to the finish or the product itself caused by over tightening or incorrectly applied tool force or use of fluids containing any abrasives or glycol. Water cooling has an inherent risk of damage to your computer parts from improperly selected or installed components; therefore, Monsoon is not responsible for any damage that might arise from the use of these products. We recommend leak testing your loop outside of your system for at least 24 hours.